Actor Walter Huston introduced “September Song” in the Broadway musical, Knickerbocker Holiday, which opened October 19, 1938, at the Ethel Barrymore Theatre and ran for 168 Performances. Huston’s recording of “September Song” went onto the charts on January 28, 1938, peaking at number twelve. Bing Crosby, Jimmy Durante, and Willie Nelson also recorded popular versions. Walter Huston had accepted his part as Peter Stuyvestant in Knickerbocker Holiday on the condition that he be allowed to sing a romantic song in the musical. One evening, after listening to Huston sing, Maxwell Anderson dashed off the lyrics to “September Song” in about an hour, and Kurt Weill finished the music later that night. A middle-aged Stuyvestant would sing “September Song” to the young Tina Tienhoven (Jeanne Madden) in an attempt to coax her into marriage. Although tailored to his limited vocal range, Huston was expected to have some difficulty delivering the song, but his raspy, half-spoken rendition was beautiful and touching. Indeed, his biggest hurdle was not the delivery but remembering the tune. Weill’s conductor, Maurice Abravanel, excited by the prospect of doing something new, had just quit the Metropolitan Opera to work on Knickerbocker Holiday. According to Abravanel, “When Huston heard the music of ‘September Song,’ it didn’t stay in his head.” After failing to memorize the song numerous times, Anderson suggested that they drop Huston and just let the orchestra play it. But Huston was apologetic and determined, and by opening night he knew the song and it stopped the show. There is a history to the naming of the musical for which “September Song” was written. Most people are familiar with today’s informal definition of “Knickerbocker,” which means a native or resident of New York. Not so long ago it meant a descendant of the Dutch settlers of New York. Its origin, however, dates back to 1809 with the publication of Washington Irving’s first book. Best known for his short stories, The Legend Of Sleepy Hollow and Rip Van Winkle, Irving used the penname Dietrich Knickerbocker for A History of New-York from the Beginning of the World to the End of the Dutch Dynasty. Knickerbocker’s History of New York, as it later became known, was a satire on the early years of New York under the reigns of three Dutch governors: Walter van Twiller (Walter the Doubter), William Kieft (William the Testy), and Peter Stuyvestant (Peter the Headstrong). Playwright Maxwell Anderson’s adaptation of the book to Knickerbocker Holiday has Stuyvestant as the new governor. Tina Tienhoven is a young maiden pledged by her father to the older Stuyvestant, although, of course, she loves another, a younger man named Brom Broeck (played by Richard Kollmar). United Artists’ 1944 film version of Knickerbocker Holiday starred Charles Coburn as Peter Stuyvestant, Constance Dowling as Tina Tienhoven, and Nelson Eddy as Brom Broeck. The biting satire of the Broadway musical was toned down so as to offend no one, and only three songs were retained from the original score. Audiences and critics alike agreed that it was a tedious disappointment. This section suggests definitive or otherwise significant recordings that will help jazz students get acquainted with “September Song.” These recordings have been selected from the Jazz History and CD Recommendations sections. Sarah Vaughan’s 1954 recording of “September Song” (Sarah Vaughan W/ Clifford Brown) is still the stand-out among vocal performances of the tune, with a brilliant ensemble providing the perfect backdrop for her tender vocals. Don Byas’s great 1946 version (Savoy Jam Party: The Savoy Sessions), featuring a young Max Roach on drums, is creative yet faithful. 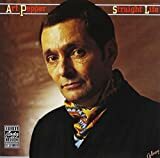 Meanwhile, Art Pepper’s emotionally raw, Latin flavored exploration of the tune (Straight Life) is both a classic version of the tune and a wonderful example of his late-career renaissance. It’s a further stretch to get a mental picture of the abstract images of months of the year. Each of the two songs has forceful lyric power, yet it’s not so hard to see, after all, why Huston may have had trouble remembering the lyrics. While Huston sang both verse and refrain in the show, many jazz artists, Billie Holiday and Sarah Vaughan included, sing only the refrain. Movement “A” consists primarily of ascending arpeggios and leaps. Section “B” consists of a descending second alternating with a descending minor third. The charm of this piece lies in its change of moods, at once soaring and hopeful, then introspective and almost brooding. This effect is created by shifts between major and minor under melodic intervals that vary from wide to small. From a voice-leading standpoint there is little truly functional about the harmonic progression, but the I – i – II – iv bears some resemblance to “On Green Dolphin Street.” The latter uses an N6 chord in place of the iv, but the iv works as well. In this context, iv is used in place of V7I because the fourth and flatted sixth degrees of the scale (corresponding to the 7th and b9th of a V chord) have a strong tendency to move downward a half-step. The “B” section is a bit different; the voice-leading chord, resolving to the initial I of the third “A,” seems to be the #IV˚7 chord which has three tones in common with the I (in reality, it is virtually identical to i˚7). Weill tricks the ear a bit by inserting an embellishing iv chord just before the I, but the voice-leading tendency remains. Artie Shaw’s 1945 big band, with an arrangement by trombonist Ray Coniff, ushers in the jazz versions of this tune with nice solos from Shaw and ex-Glenn Miller baritone saxophonist Chuck Gentry. Oklahoma-born tenor saxophonist Don Byas recorded a first-class version with his quartet in August, 1946, which also features some fine piano playing by the obscure Sanford Gold. A few months later Sarah Vaughan would record her debut version of Weill’s tune as a ballad, ably backed by pianist Teddy Wilson and tenor saxophonist Charlie Ventura. In France, virtuoso guitarist Django Reinhardt would record the tune four times, the first in a stunning version from 1947 with the wonderful clarinetist Hubert Rostaing. On this performance, vibraphonist Norvo is at one with guitarist Tal Farlow and bassist Charles Mingus, the members of his influential, forward-looking trio. This is a classic jazz recording and not to be missed for any of its songs. Vaughan is in the company of trumpeter Brown with Herbie Mann on flute, Paul Quinichette on tenor sax, Jimmy Jones on piano, Joe Benjamin on bass, Roy Haynes on drums, and Ernie Wilkins, arranger and conductor. This is one of the most beautiful, moving, and least sentimental versions of "September Song."' The great alto saxophonist spends 11 minutes thoroughly exploring the song in the company of Tommy Flanagan (p), Red Mitchell (b), and Billy Higgins (d). Clooney gets sentimental but not maudlin on this emotional duo performance with pianist Marian McPartland. Tatum’s all-star group takes “September Song” at a relaxed tempo, but Tatum still romps through with characteristic fullness. Also featured here are Harry “Sweets” Edison on trumpet and Lionel Hampton on vibraphone. On this particular cut pianist Alexander is joined by the extraordinary steel drummer, Othello Molineaux, who lends an ethereal touch to this very slow version. Pianist Werner and reed man Potter capitalize on the freedom offered by the duo setting. While some of the selections can be characterized as experimental, “September Song” is more conservatively rendered, and beautifully, with Potter on bass clarinet.